Carnival Cruise Lines can't get a break. Shares tumbled more than 5% Wednesday afternoon after issuing a profit warning related to its latest cruise ship disaster. 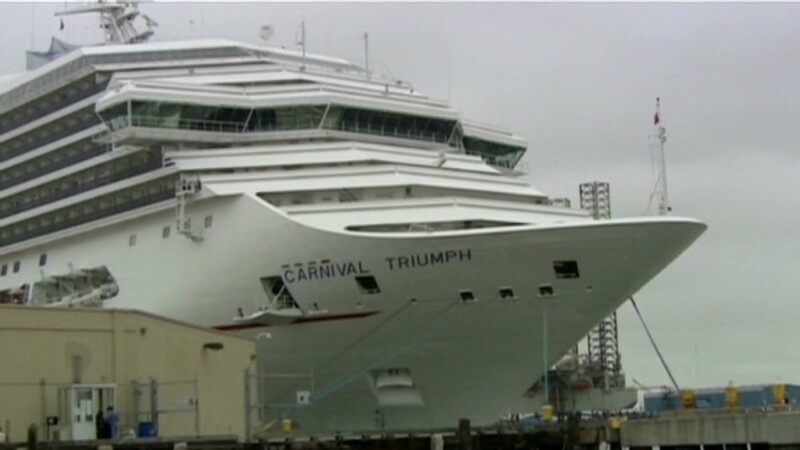 Carnival said it expects the total financial impact from voyage disruptions and repair costs to reduce its earnings per share by 8 cents to 10 cents for the first half of 2013. Shares of Carnival (CCL) could remain under pressure in the near term as the ship remains stranded. But Nomura analysts say the skittishness should be short -lived. "Unfortunately, we expect attention to build once the ship's 3,143 passengers return to port, post pictures and videos online, and speak with reporters, an additional 24--48-hour risk for the stock," said the analysts. "Cruise loyalists and investors should be undaunted by ugly headlines over the long term." The news spilled over to Royal Caribbean (RCL), whose stock fell about 2%. Interestingly, Norwegian Cruise Lines (NCLH), which recently went public, rose 2.5%. This isn't the first public relations nightmare for Carnival. In fact, it faced a worse disaster last year. Just over a year ago, Carnival's Costa Concordia ran aground off the coast of Isola del Giglio, Italy. The ship was severely damaged and left 32 people dead.